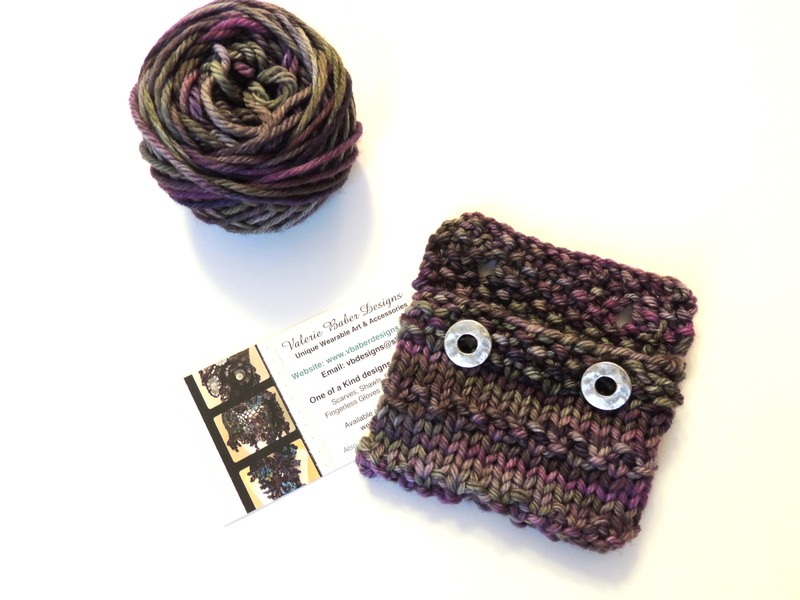 Free Knitting Pattern for a Gift Card and Business Card Holder. I was inspired by the thought of designing a card after posting my recent venture in Christmas Card making. Then it dawned on me why not design a gift card cover that can make a gift card a more personal gift as you have added a special touch with your own hands and then be reused as a business card holder by the recipient or again used as a gift card holder. A great way to reduce and reuse with the added perk of a homemade personal touch. This pattern is nice and easy so most people can knit it. I like to keep my patterns easy so more people can enjoy making and sharing their skills and handmade projects with others. For this design I wanted to stay with a classic feel and added the garter stitch for a nice texture and feel to the card holder. I used a hand painted yarn to add another special dimension and colour to the piece. For this pattern I used Malabrigo Rios, one of my favourite yarns to work with. For those who don’t know Rios is a wonderful hand painted merino wool that is very soft and has amazing colours. You can see more of their yarns at www.malabrigoyarn.com You can use any worsted weight yarn you have as long as your tension is as above. The Reusable Gift Card Holder and Business Card Holder is perfect gift in itself for those you love. I hope you enjoy making some of these for your friends and family. Change it up and add your own special touch to the design. Have a wonderful day today. Reusable Gift Card and Business Card Holder is a great way to add a handmade personal touch to a gift. Use it as a gift card holder that can then be used by the recipient as a business card holder specially made by you. This design has a classic touch with the moss stitch and unique buttons. You can use your favourite button style to accent the design. The button size used here is a 1/2 inch button. The only request I have with my free patterns is you “Pass it Forward”. Either make one for someone in need, charities, or do something nice for someone else and pass the gift of helping others forward. Worsted weight yarn: I used Malabrigo Rios for this one above. Tension: 4 sts wide by 7 rows high for a 1” section. This gave a finished measurement once sewn together of 2 1/2 by 3 1/2 perfect for a gift card or business card. Cast on 30 sts and work 4 rows in garter stitch. Work 4 rows of stocking stitch. Work 4 rows of garter stitch. Right side should be facing you. Cast off 15 sts and work the remaining 15sts in garter stitch to end. Button Hole Row: in moss st. work 3 sts, yrn, k2 tog, moss st next 6 sts, yrn, k2 tog, moss st to end. Work 3 more rows of garter stitch. Cast off and sew side seam and bottom edge. Attach 2 small buttons of your choice and finish ends.